The National Petroleum Authority (NPA) has shut down 21 Liquefied Petroleum Gas (LPG) stations across the country for failing to meet various safety standards following inspections on Thursday, 12 October. CEO of the NPA, Alhassan Tampuli said on Friday, 13 October that: “Yesterday our inspection and monitoring team closed down 21 stations across the country, now that is just the number of stations that they monitored and today they will continue and hopefully continue next week”. 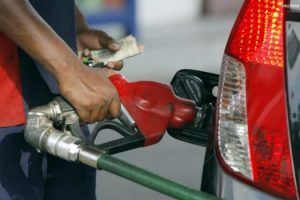 The clamp down on gas and fuel stations dovetailed into directives given to such effect by President Nana Akufo-Addo following a Cabinet meeting that same day. The closure of the LPG stations follows a gas explosion at Atomic Junction near Madina in Accra last week Saturday which killed seven people and injured 132 others. Also, President Akufo-Addo has said the Cylinder Recirculation Module proposed by the NPA aimed at ensuring that LPG posts are cited away from densely populated areas and commercial centres, must immediately come into force as part of measures to sanitise the industry and avert disastrous explosions as the one that occurred at Atomic Junction. “At the Cabinet meeting of 12th October 2017, the President of the Republic, on the advice of Cabinet, directed that henceforth the Cylinder Recirculation Model of Liquefied Petroleum Gas (LPG) distribution be implemented. This model means that LPG Bottling Plants will be sited away from congested commercial and population centres and will procure, brand, maintain and fill empty cylinders to be distributed to consumers and households through retail outlets. Low risk stations will be designated for the supply of gas to vehicles. This whole exercise must be completed within one year,” Minister of Information Mustapha Hamid said in a statement. The programme is something the Association of Gas Tanker Drivers has being against. The association recently threatened a nationwide strike if the programme was implemented. Additionally, the president has directed the shutdown of all high-risk Liquefied Petroleum Gas (LPG) stations across the country. At the Cabinet meeting of 12th October 2017, the President of the Republic, on the advice of Cabinet, directed that henceforth the Cylinder Recirculation Model of Liquefied Petroleum Gas (LPG) distribution be implemented. This model means that LPG Bottling Plants will be sited away from congested commercial and population centres and will procure, brand, maintain and fill empty cylinders to be distributed to consumers and households through retail outlets. Low risk stations will be designated for the supply of gas to vehicles. This whole exercise must be completed within one year.